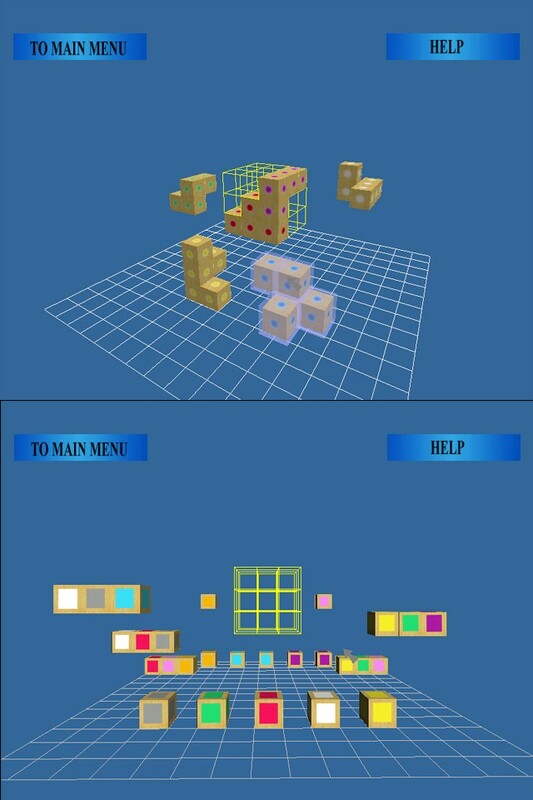 Here is an image of the new free demo for Mei's Cube Puzzles, a game that recently became available as shareware. It uses no shaders, no class factories... in fact, no crumulent buzzwords at all - that way just about every person with a computer less than 6 years old can run it. It was written by Mei over a period of about 9 months in her spare time using MSVC6, OpenGL, and her wits. It is her first major programming project! More screenshots and a free demo can be downloaded from the homepage for Mei's Cube Puzzles.